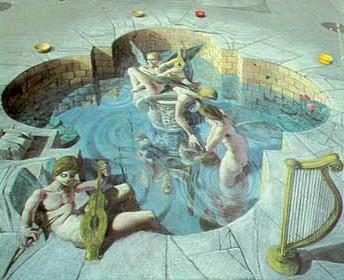 Photographs show 3D-like sidewalk paintings done in chalk. 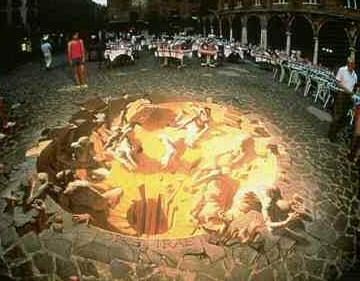 Claim: Photographs show 3D-like sidewalk paintings done in chalk. 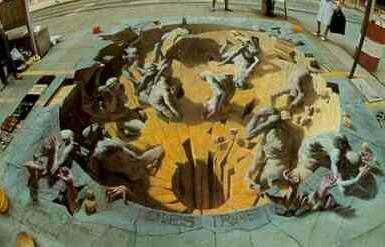 Pavement Drawings – 3D Illusion: This is seriously brilliant work. Origins: These images do indeed represent some seriously brilliant work which should be admired in its proper context and with full credit to its creator. and extra-terrestrial landscapes according to the latest scientific information provided by the Voyager spacecraft. In 1982, he left NASA and sold his belongings to go to Italy and study art. Living in Rome, Wenner studied the great masters and drew constantly from classical sculptures in the museums. The drawings he made brought him in touch with the language of form in Western figurative art and provided him with the neoclassical training necessary for the style he was pursuing. Through his studies Wenner became particularly interested in the direction for his own artistic expression. He traveled extensively in order to experience firsthand most of the major masterpieces and monuments in Europe. During these first years abroad he experimented with traditional paint media: tempera, fresco, and oil painting. He also executed large permanent works including several altarpieces and a chapel in Puglia (southern Italy) for patrons he met on his travels. The gallery section of Kurt’s site presents many fabulous examples of his street painting efforts, and the Q&A with the Artist page provides answers to the most frequently asked questions about his art (e.g., “What happens when it rains?,” “How long does it take?” and “How long will the painting last if it isn’t destroyed?”). 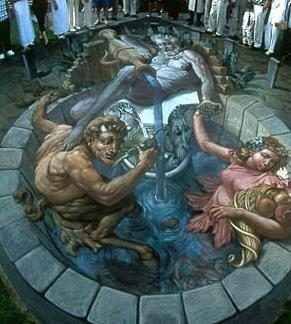 Asphalt Renaissance brilliantly recounts the creation of 3D pavement art by innovative artist and Internet sensation Kurt Wenner. 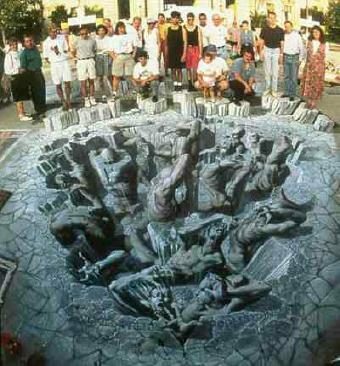 Wenner revolutionized this ancient art by inventing a unique technique that produces astounding 3D images that appear to reach out of the pavement toward the viewer and seem perilously deep. Featuring photographs of hundreds of his paintings, this volume spans Wenner’s career and captures his thoughts on art and the ephemeral nature of his work.